Shared Value Project in partnership with CSIRO and NAB invite SVP members to attend a breakfast briefing on the National Outlook Project. Shared Value Project founding member NAB has partnered with the Commonwealth Scientific and Industrial Research Organisation (CSIRO) to establish the Australian National Outlook Project. 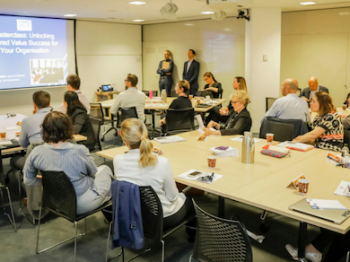 Participants in this briefing session, run by Director of CSIRO Futures James Deverell, will gain unique insights into what the future of Australia could look like, in order to shape future business strategies. The Australian National Outlook Project is a business-led national forum which brings together more than 50 senior leaders from major Australian businesses and non-government organisations, including the Shared Value Project, to explore the choices involved in building a better future for our country. 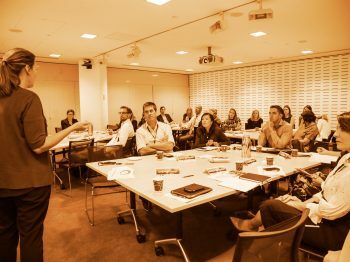 The project uses CSIRO’s best practice integrated modelling and qualitative research to consider economic, social and environmental outcomes for Australia, up to 2060. It has identified five key shifts – industry, urban, energy, land, and culture – that society needs to make to ensure our collective future. TICKETS: Complimentary (SVP member only). Register your attendance here. Please note, places are limited. RSVP by Friday 15 February to secure your space.